Frank Christopher Olivera is going to spend the next half-decade in the slam for clipping GameStop to the tune of nearly two million bucks. In early 2010, GameStop Vice President of Corporate Communications said the company would "work fully with the New York Attorney General's office" on an investigation into bogus online discount offers. In November 2012, he agreed to work fully with federal prosecutors on a slightly different matter, specifically his guilty plea to one count of mail fraud arising from a scam in which he bilked GameStop of nearly $2 million. 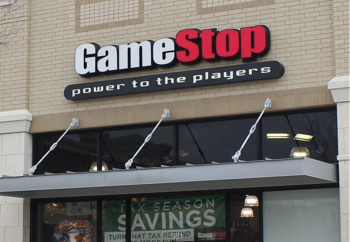 "Beginning in July 2009 and continuing to April 2011, Olivera defrauded Gamestop by submitting false and fraudulent invoices for vendor services from a fictitious company, 'Cloud Communications LLC,' which he owned and controlled," the U.S. Attorney's Office for the Northern District of Texas said in a statement. "In addition to creating a fictitious company, Olivera also created a fictitious person, 'Jennifer Miller,' to serve as the point of contact at Cloud Communications. Upon receipt of payments from Gamestop, Olivera would deposit the checks into a bank account held by Cloud Communications and then would transfer the fraudulently obtained funds into his personal bank account." The scheme netted Olivera more than $1.7 million; his guilty plea earned him 51 months in a federal slammer and an order to repay the stolen money (most of which he's already paid back) plus $77,275 in additional restitution. The moral of the story? With razor-thin margins on new game releases, GameStop needs a thriving preowned market to survive, and infrastructure limitations and increasing download sizes means that despite its complaints, the game industry will remain reliant on a healthy retail sector for the foreseeable future. Wait, that's not right. Don't steal! Yeah, that's it. Don't steal.